The View from Aristeia: Effective Modern C++ in Simplified Chinese! 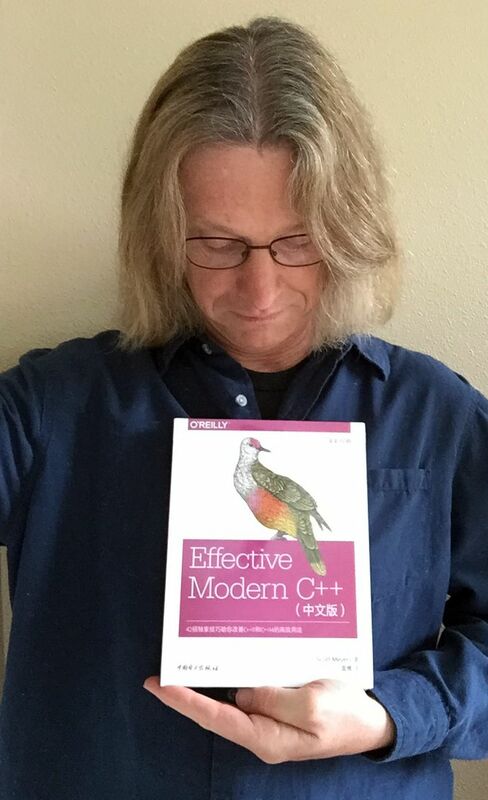 Effective Modern C++ in Simplified Chinese! In mid-2015, I was told that translations of Effective Modern C++ into both traditional and simplified Chinese had been authorized. About a year later, the traditional translation showed up on my doorstop (as I noted here). It's been nearly two more years, but the other shoe has finally dropped: EMC++ is now available in simplified Chinese. Like the original English edition of the book (but unlike most translations), the simplified Chinese version uses multiple ink colors. Readers should thus benefit from the information that conveys. I'm pleased to welcome this translation into the Effective Modern C++ family. In theory, this makes the information in it accessible to over a billion additional people, so I'll be looking for O'Reilly to find a way to sell it to nearly all of them :-) If you'd like to be a customer, I'm told the place to buy the book--or at least a place to buy it--is here.